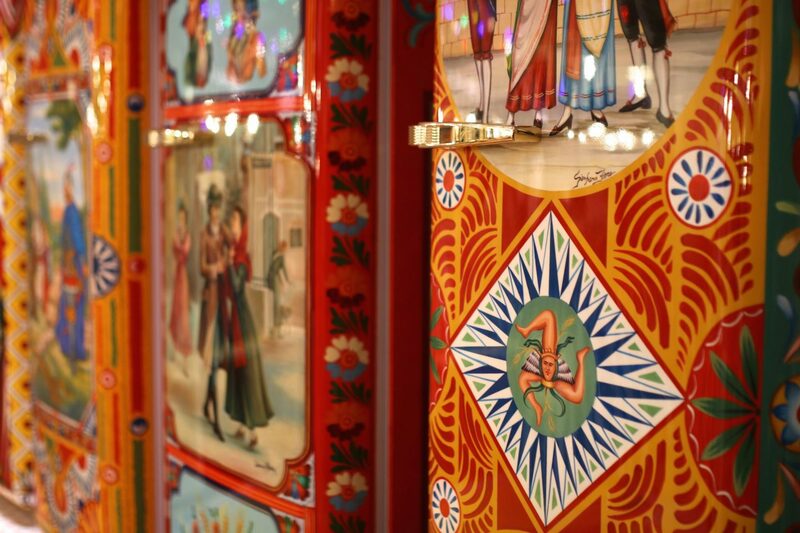 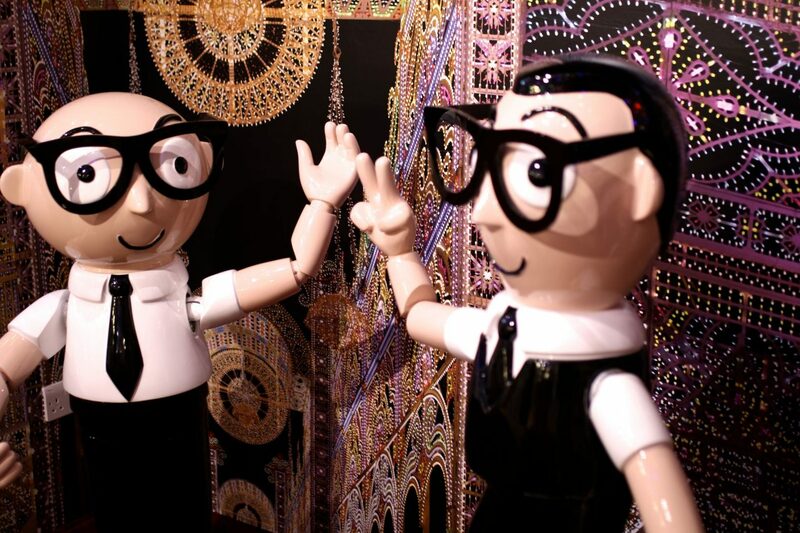 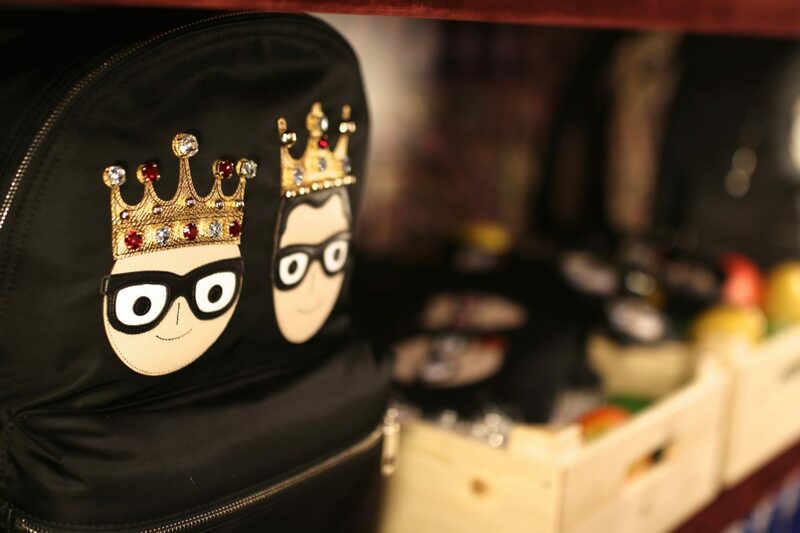 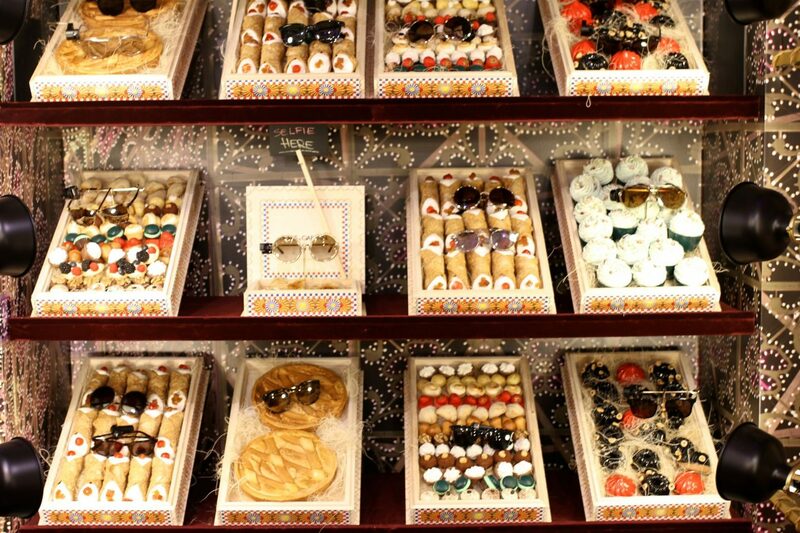 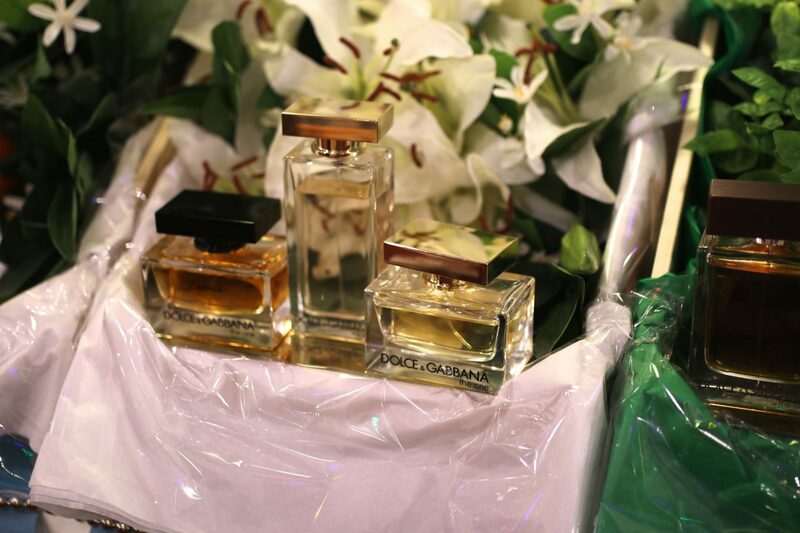 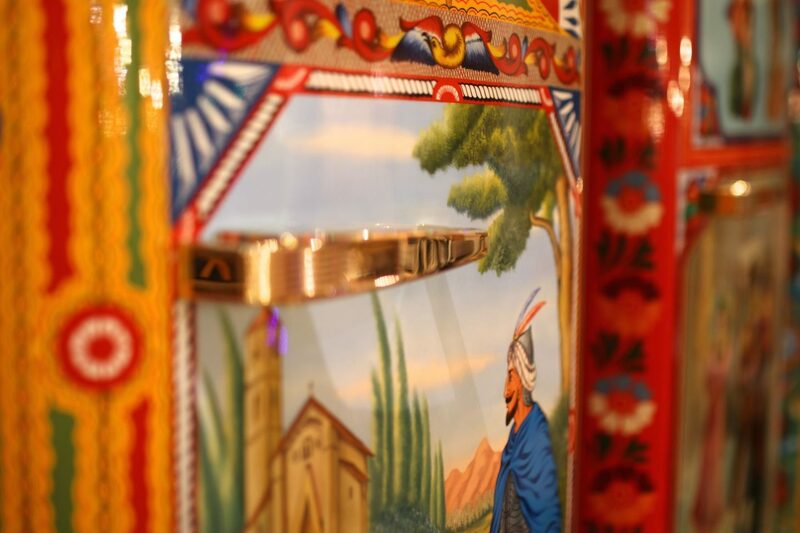 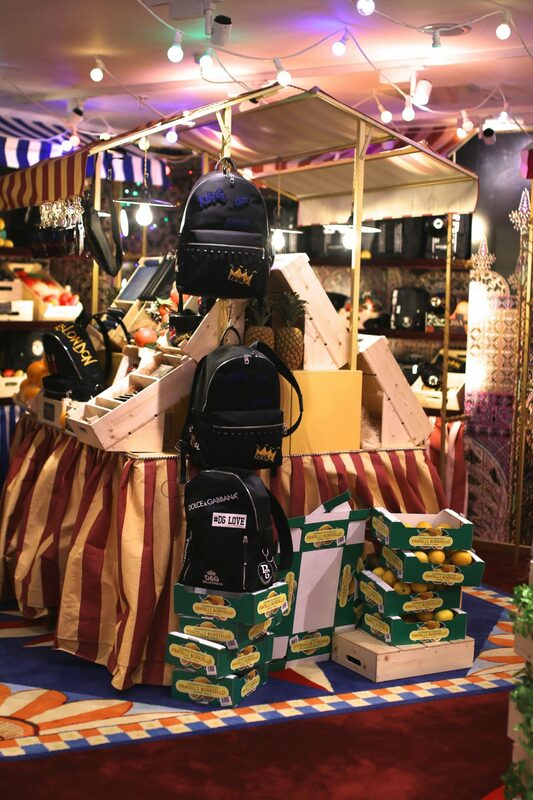 This Christmas, Dolce & Gabbana have taken over Harrods with the most sensational Italian flair. 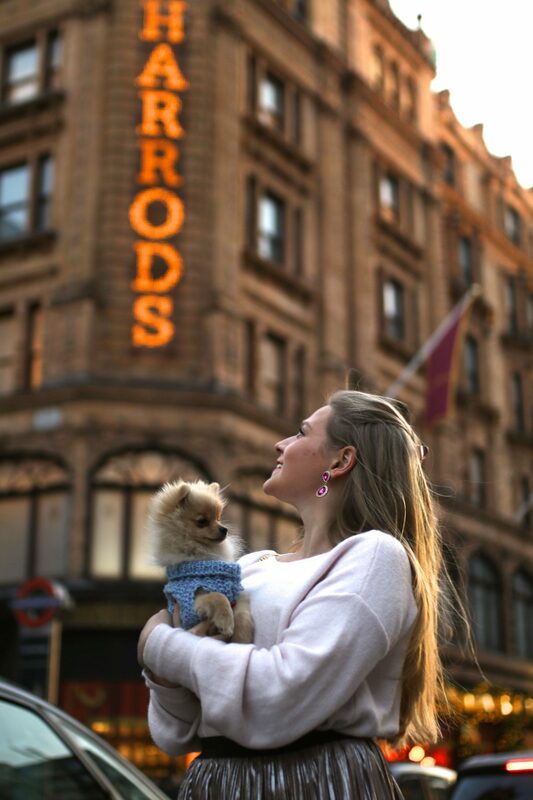 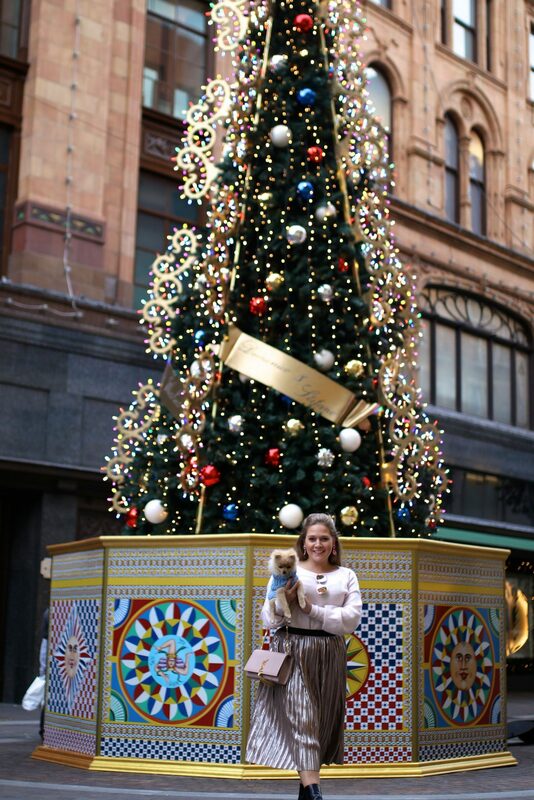 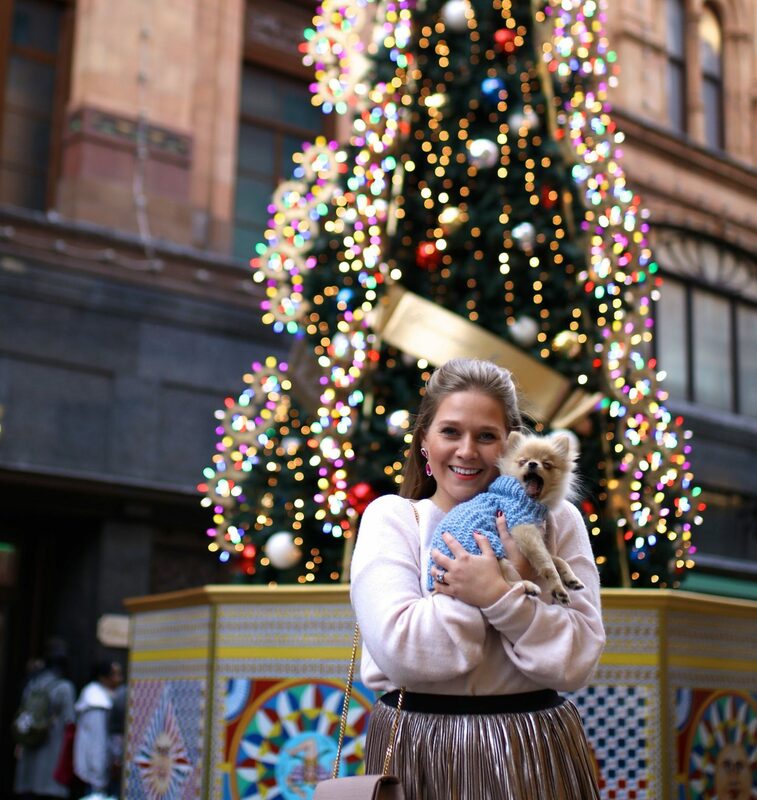 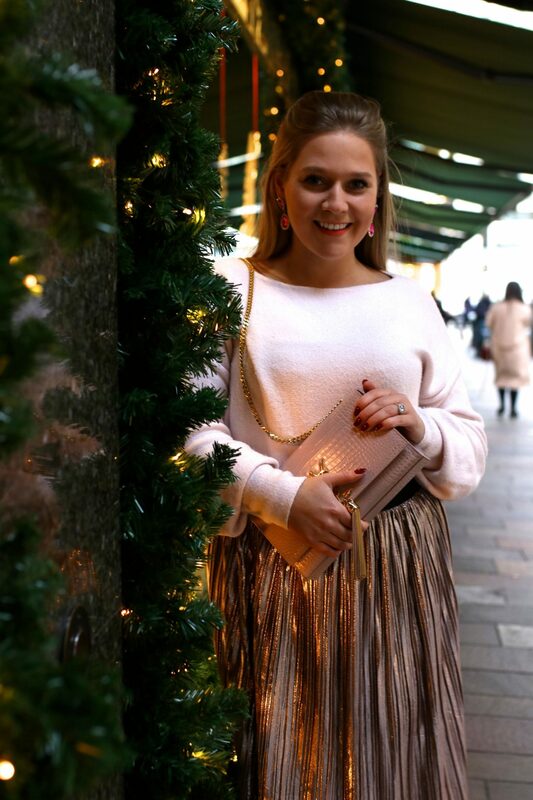 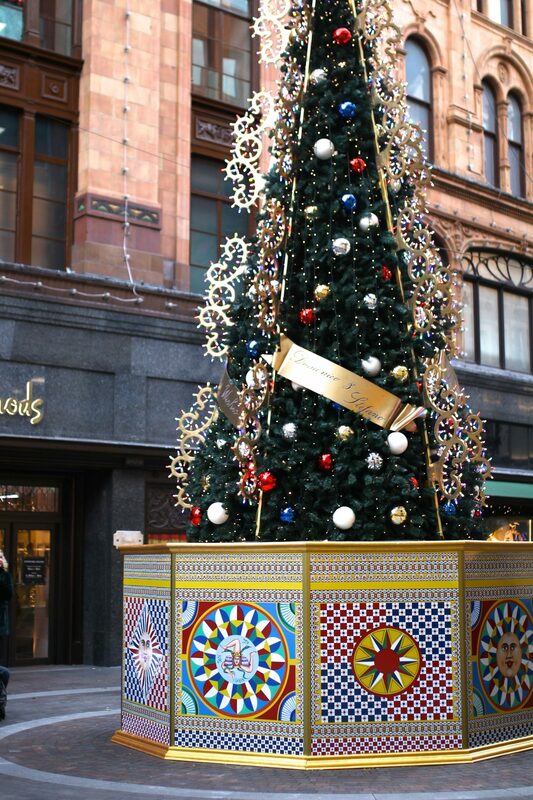 Outside the iconic store is the most beautiful Christmas Tree wrapped in the iconic Sicilian print, adorned in multicoloured lights and baubles. 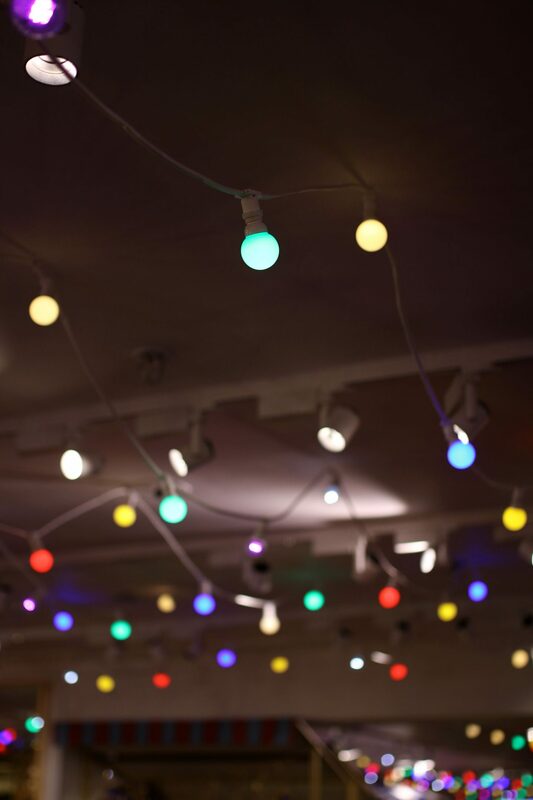 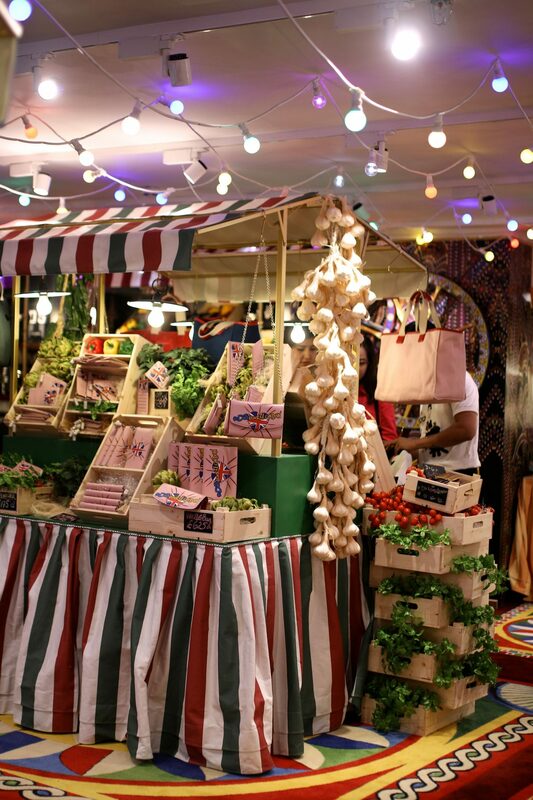 Inside, each floor is lit up by traditional Italian Christmas Lights and the fifth floor has transformed into an Italian Christmas Market – or a market from my dreams. 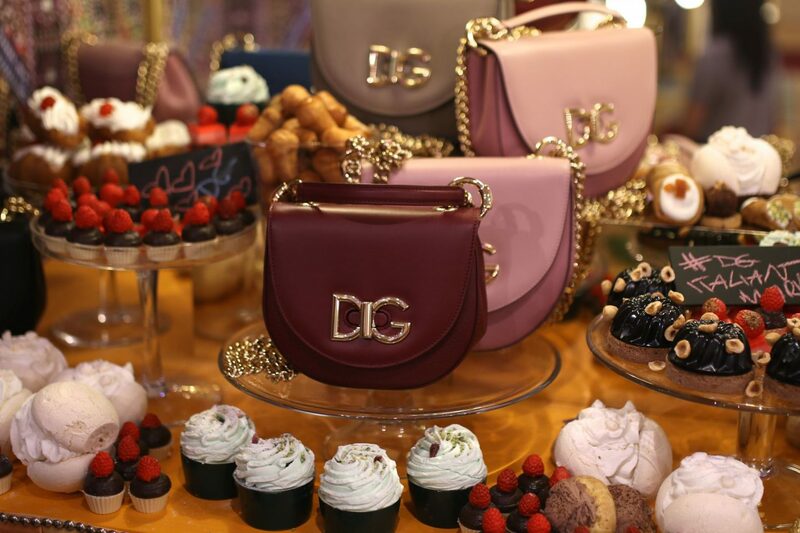 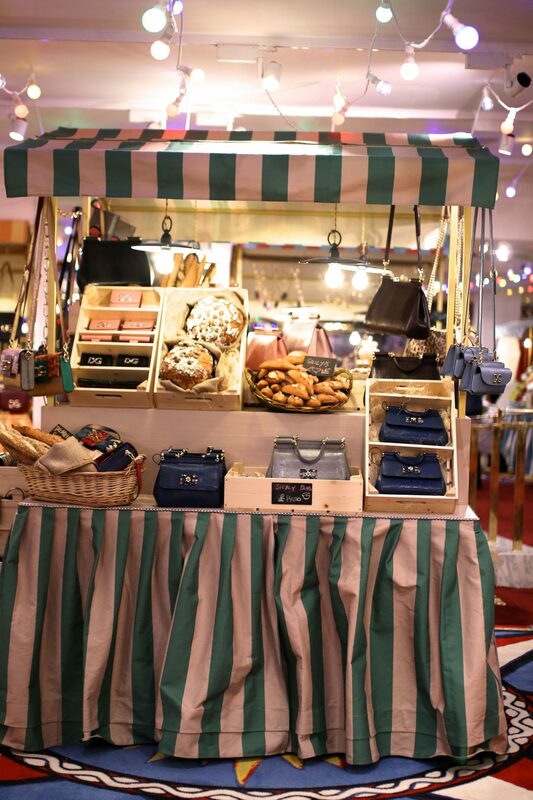 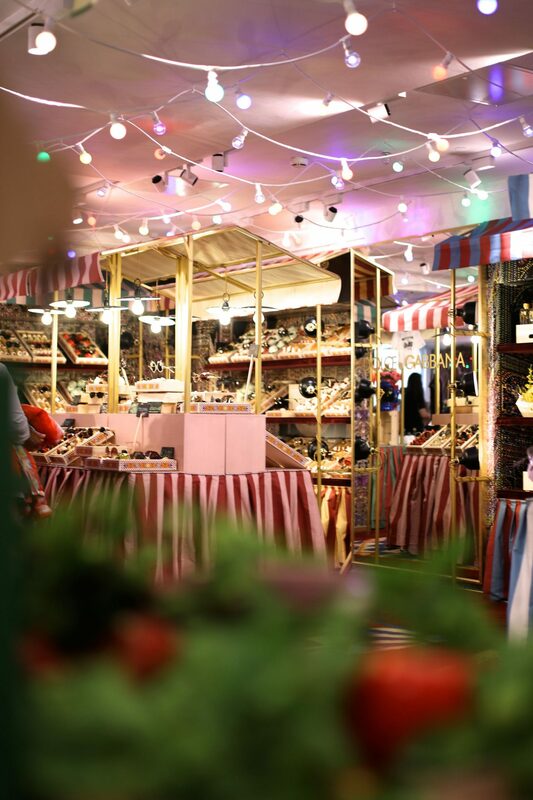 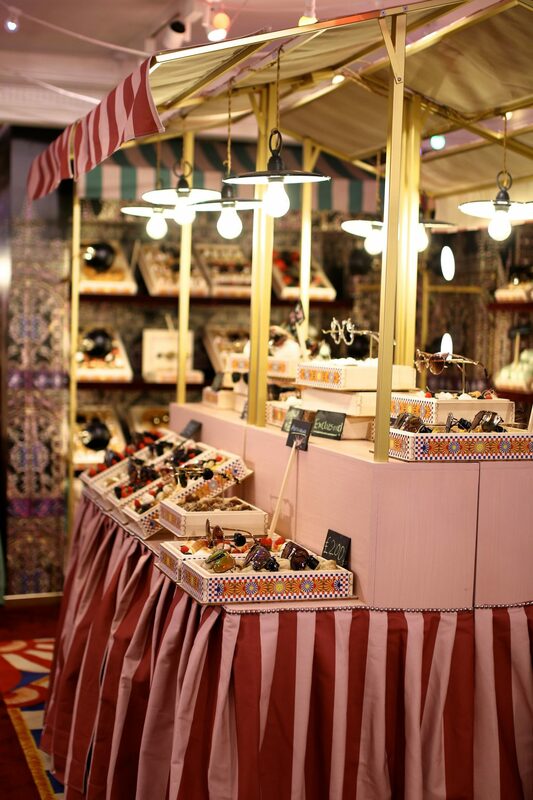 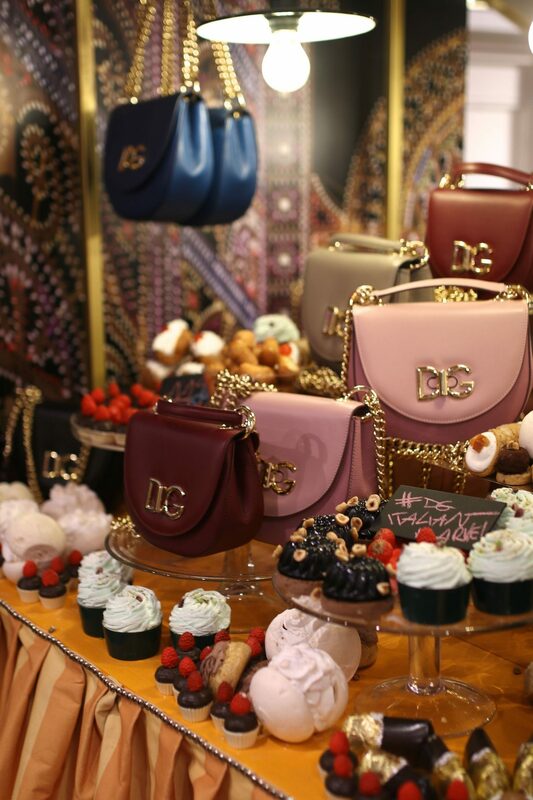 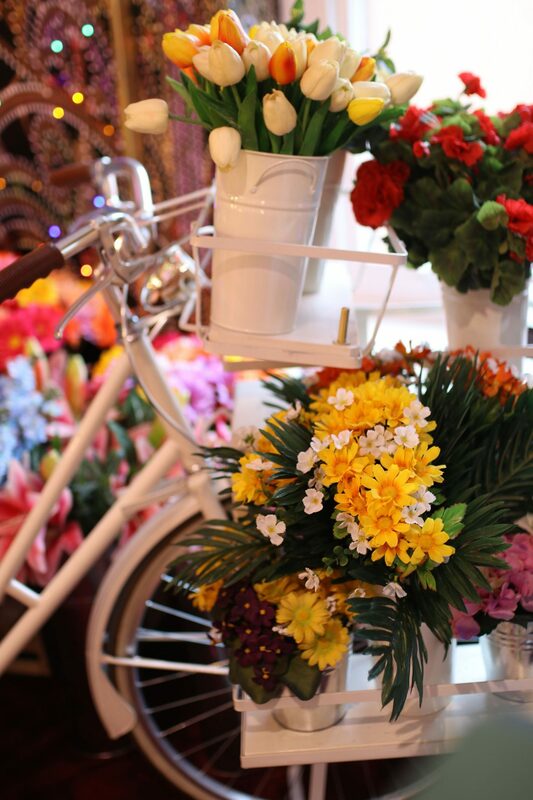 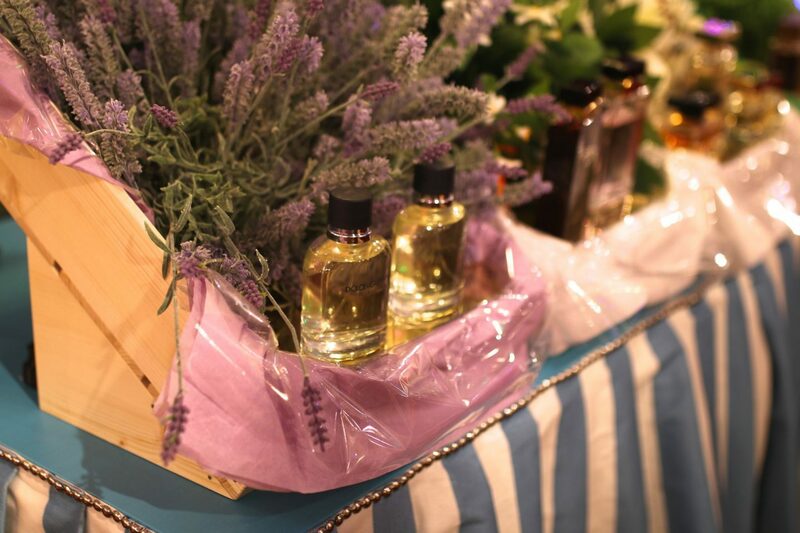 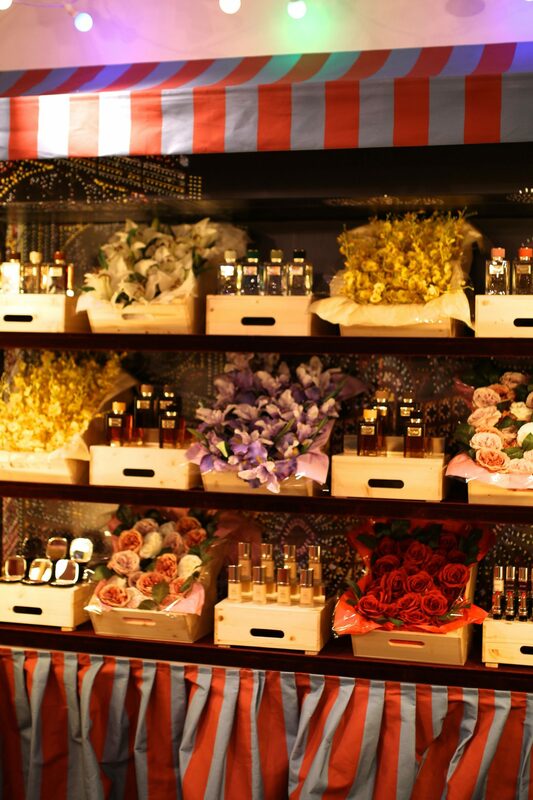 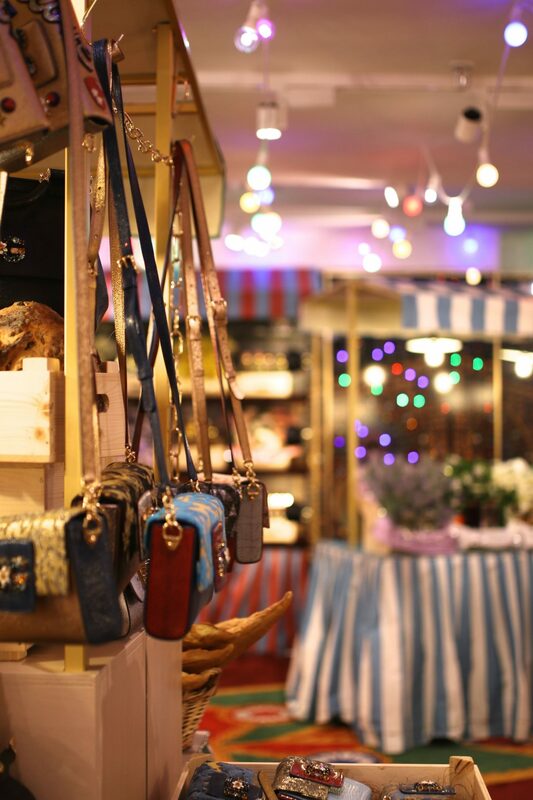 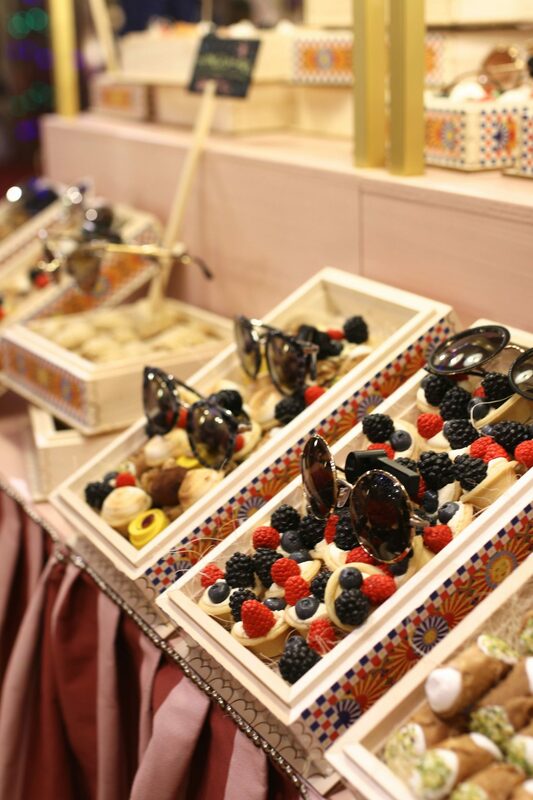 Trays of perfect fruit, vegetables, sweet treats and flowers adorn each market stall and atop D&G branded goods hang from the sides of the stalls and lie on top of the trays. 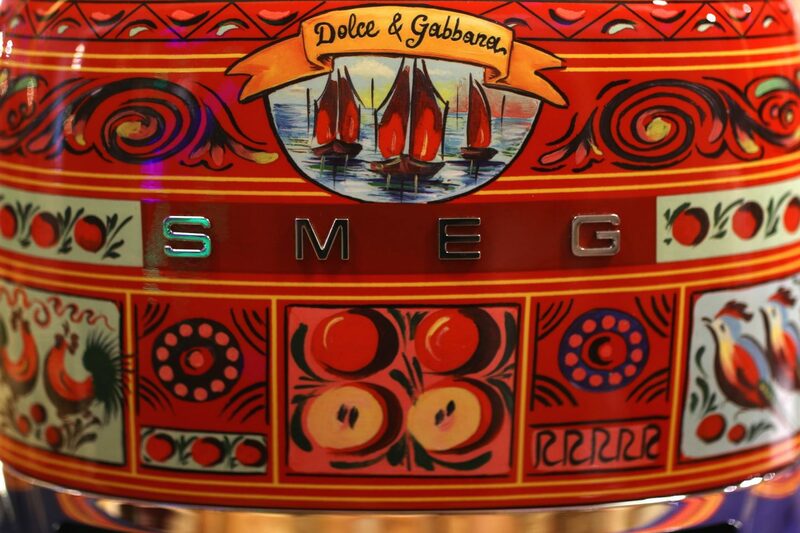 There’s even a Pizza corner complete with Pizza oven (sadly not working) and a range of Smeg fridges, blenders and toasters covered in prints by the designers. 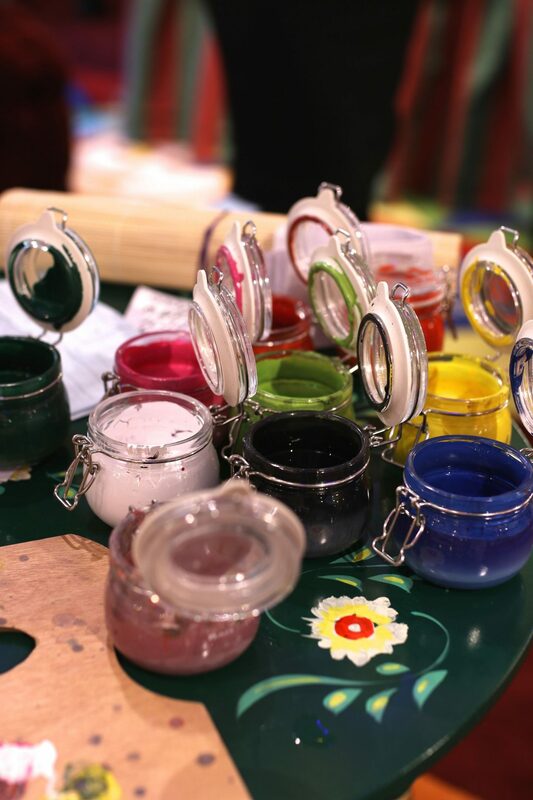 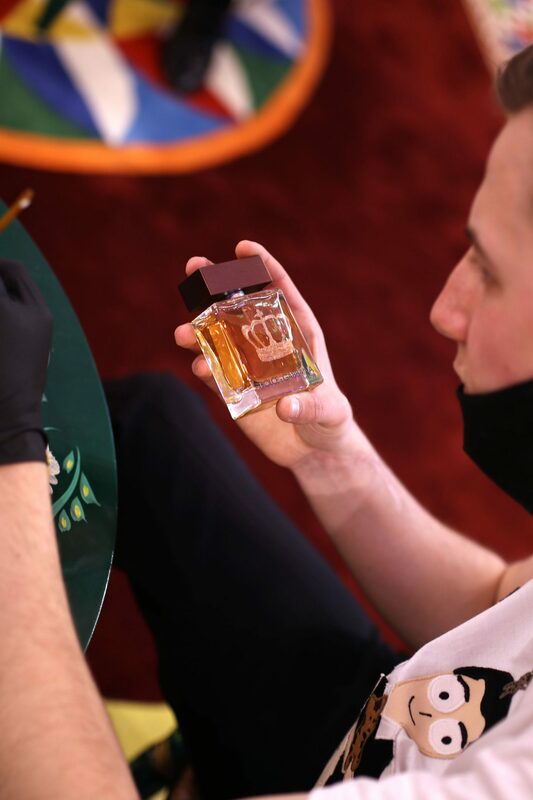 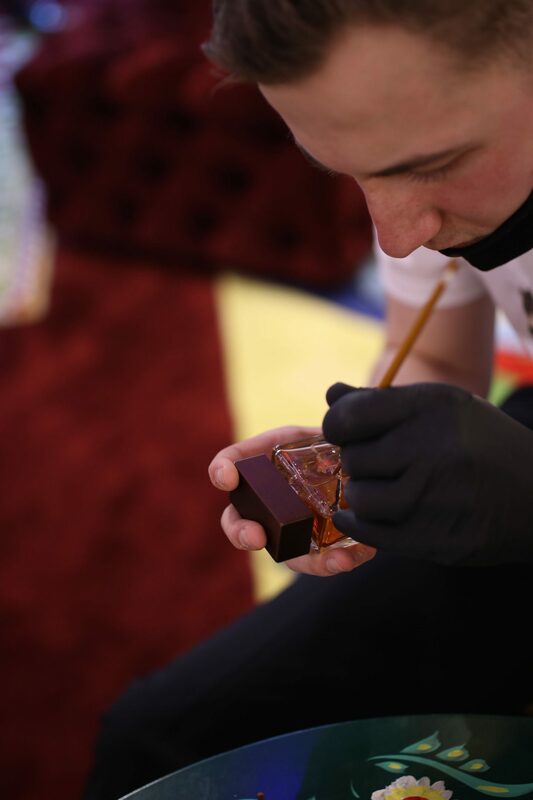 While the takeover is live (until 28th December) if you buy a fragrance or handbag, you can even have it personalised by the on-hand artists. 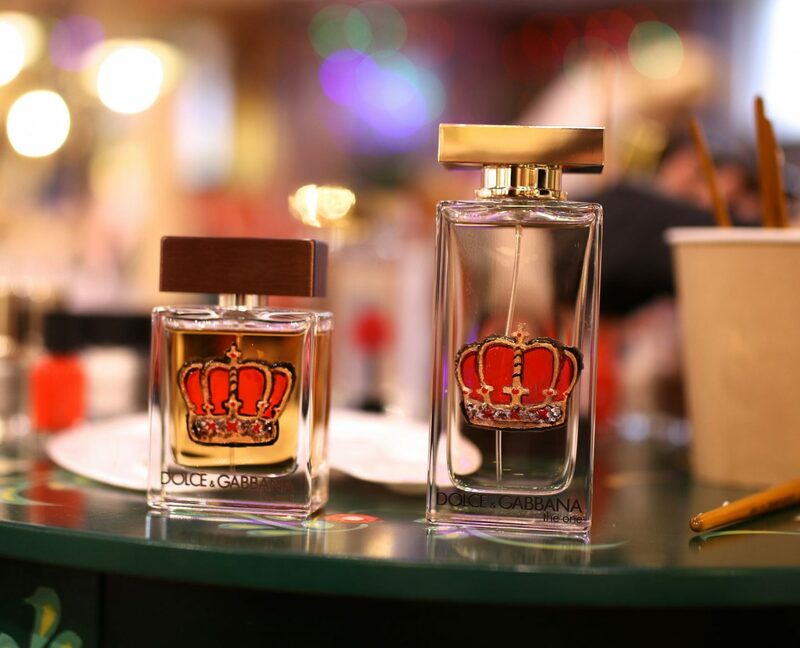 Ben and I chose matching crowns on our D&G The One fragrances, but while we were there others were getting their new handbags hand painted with the most beautiful floral designs. 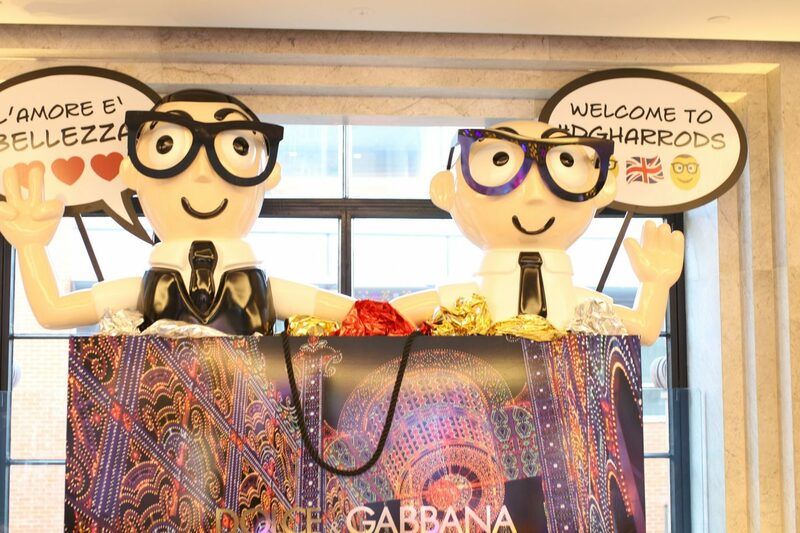 As far as designer takeovers go, this is one of the best I have ever seen. 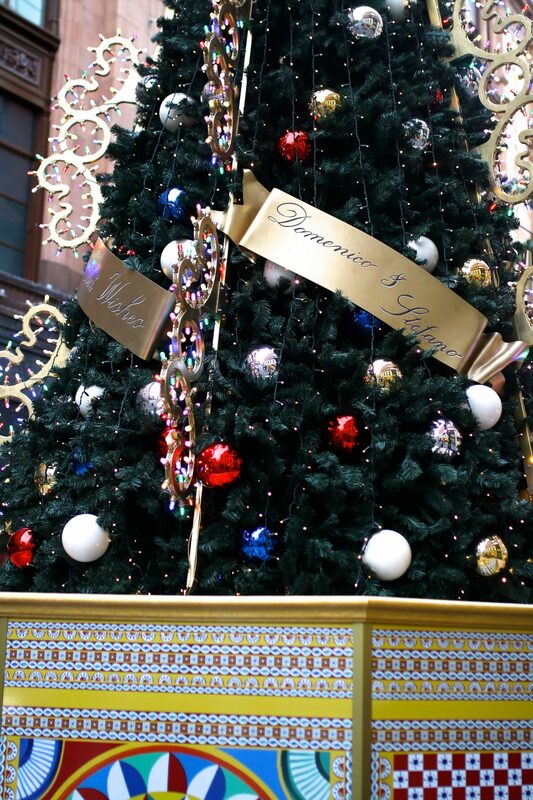 Inside and out the store is completely transformed as though you step into the most magical of Italian Christmases and they don’t get much better than a Dolce & Gabbana Italian Christmas.